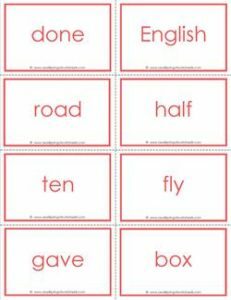 Printable Fry word flash cards – the fifth 100 come in a pretty salmon color. Fourteen pages, eight words per page. Recommended for fourth and fifth grade.